Home » Google , Graphic Tools , Infographics , Miscellaneous , Social Bookmarks , System , Web Resources , Web Search Engine , Web Tools , Weblog Applications , Windows » Top 10 blog posts for July 2013 from Linuxlandit & The Conqueror Penguin. Top 10 blog posts for July 2013 from Linuxlandit & The Conqueror Penguin. 1.- 10 Useful Sar (Sysstat) Examples for UNIX / Linux Performance Monitoring. Using sar you can monitor performance of various Linux subsystems (CPU, Memory, I/O..) in real time. Using sar, you can also collect all performance data on an on-going basis, store them, and do historical analysis to identify bottlenecks. Sar is part of the sysstat package. This article explains how to install and configure sysstat package (which contains sar utility) and explains how to monitor the following Linux performance statistics using sar. So you've heard about Linux, and now you're thinking, I wonder if it's the answer to the problems I've been having with Windows? The good news is that there's a clear and unequivocal answer: Maybe. You are the type of person who likes to "get under the bonnet" and tinker. You find pointing and clicking to be a limiting way of expressing yourself. You want to develop or run applications for small- and medium-sized enterprises. Let's delve a little deeper, and see what attracts people to Linux. Why Do People Use Linux? Essentially, using Microsoft Windows is a bit like being a passenger in a Boeing 747. It's smooth, it's comfortable albeit cramped and you have an entertainment screen right in front of you. But after take-off, you can't change your mind about where you're going and you're not going to see any interesting scenery en-route. 3.- Iostat, Report Central Processing Unit (CPU) statistics and input/output statistics for devices, partitions and network filesystems (NFS). 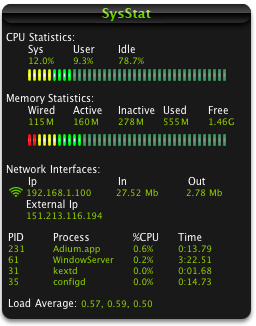 Iostat (input/output statistics) is a computer system monitor tool used to collect and show operating system storage input and output statistics. It is often used to identify performance issues with storage devices, including local disks, or remote disks accessed over network file systems such as NFS. It can also be used to provide information about terminal (TTY) input and output. The iostat command is used for monitoring system input/output device loading by observing the time the devices are active in relation to their average transfer rates. The iostat command generates reports that can be used to change system configuration to better balance the input/output load between physical disks. The first report generated by the iostat command provides statistics concerning the time since the system was booted. Each subsequent report covers the time since the previous report. All statistics are reported each time the iostat command is run. The report consists of a CPU header row followed by a row of CPU statistics. On multiprocessor systems, CPU statistics are calculated system-wide as averages among all processors. A device header row is displayed followed by a line of statistics for each device that is configured. When option -n is used, an NFS header row is displayed followed by a line of statistics for each network filesystem that is mounted. The interval parameter specifies the amount of time in seconds between each report. The first report contains statistics for the time since system startup (boot). Each subsequent report contains statistics collected during the interval since the previous report. The count parameter can be specified in conjunction with the interval parameter. If the count parameter is specified, the value of count determines the number of reports generated at interval seconds apart. If the interval parameter is specified without the count parameter, the iostat command generates reports continuously. 4.- ZynAddSubFX is a very cool and amazingly powerful software synth. ZynAddSubFX is a open source software synthesizer capable of making a countless number of instruments, from some common heard from expensive hardware to interesting sounds that you'll boost to an amazing universe of sounds. The project was started in March 2002 by Nasca Octavian Paul. He began to write ZynAddSubFX in order to create a synthesizer which could produce beautiful sounds, while being freely available to anybody who needs it. For sound generation it has three hybrid synth engines that combine additive, subtractive, Fourier and other synthesis methods. No external samples are used to produce the sound; everything is done by synthesis. The synthesizer has effects like reverberation, echo, chorus, distortion, equalization and others, and supports microtonal tunings. 5.- How to Develop a New Website [Infographic]. 6.- Glx-Dock (Cairo-Dock) is fully themable, and you can really make your dock behave and look totally different from any other dock. GLX-Dock is now built on top of libgldi (for GL Desktop Interface),which will also be used for another project: GLX-Desklet. Having aminimalistic core ensure better stability and performances, and lessbugs. It is compatible with Compiz-Fusion, Beryl, Compiz, Metacity, Kwin,Xcompmgr, etc., but it can also run without a composite manager (usingfake transparency). Glx:dock can run under GNOME, KDE and XFCE. The latest stable release is the 2.3.0.3 : How to install it here. - The System-Monitor applet can now monitor CPU's temperature and fans speed. - The Logout applet now warns you when the computer needs to be restarted. - The menus have a better layout and if you lock the dock, most of entries are hidden. - The Slider is much faster to load a huge number of images. 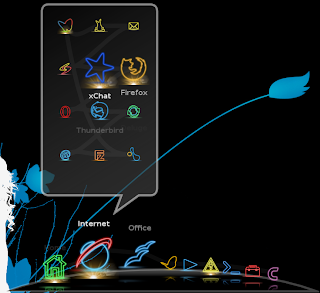 - A unified icon settings window helps configuring all the launchers/applets/docks/desklets in a short time. 7.- Social bookmarking is a method for Internet users to organize, store, manage and search for bookmarks of resources online. Social bookmarking is a method for Internet users to organize, store, manage and search for bookmarks of resources online. Unlike file sharing, the resources themselves aren't shared, merely bookmarks that reference them. Descriptions may be added to these bookmarks in the form of metadata, so users may understand the content of the resource without first needing to download it for themselves. Such descriptions may be free text comments, votes in favour of or against its quality, or tags that collectively or collaboratively become a folksonomy. Folksonomy is also called social tagging, "the process by which many users add metadata in the form of keywords to shared content". 8.- 50 best examples of select your language pages. Select Your Language Page is that single page you see when you arrived for the first time on a website like cocacola.com or nintendo.com, a pre-home page, with a list of options: language, country, region, etc, normally related to a big brand or name with presence all over the world or some many others sites with the idea of being seen in any country, like mini-sites or promotional sites even personal portfolios. There are many sites who redirect you automatically to a language by your physical location, and this could be easy in normal cases but in some cases this not the best option. Let’s say you are from South America but you are in a pleasure travel by China and you don’t know a single word of Chinese, but for any reason you want to go to whateveryouwanttoputhere.com and… Taraaa, is in Chinese. 9.- 10 Tips About Responsive Design [Infographic]. 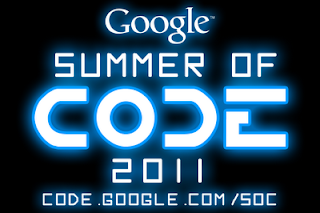 417 applications were reviewed and 175 open source projects were chosen and out of the 175 projects that were selected 50 of those are new to Google Summer of Code—a global program that offers student developers stipends to write code for various open source software projects. AbiWord,Apertium, Blender Foundation, Catroid Project, Climate Code Foundation,Debian Project, Electronic Frontier Foundation/The Tor Project, FreeBSD, GNOME Project, and Haiku are just a few of the projects that were accepted for GSOC 2011. Ryan Rix emailed the Fedora announce mailing list to let users know Fedora was one of the projects that had been selected" while Daniel Holbach informed Ubuntu users via his blog that Ubuntu had not been selected. 10 Tips About Responsive Design [Infographic]. How to Develop a New Website [Infographic].